Not only does forcing bulbs and corms provide flowers when our souls are screaming for something green in the dead of winter, it also deprives cheeky squirrels the pleasure of digging up the corms and dashing off with them to add to their hoard. I have watched the little marauders eyeing them up when I plant them. 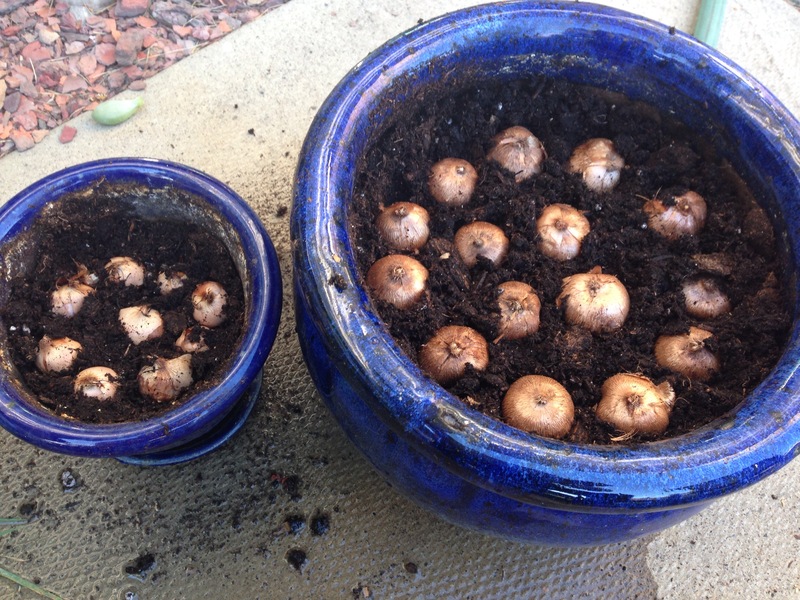 At first I thought they just wanted loose dirt in which to hide their peanuts, but no, they actually took my crocus corms and scampered off with them. Planting them indoors is my solution. 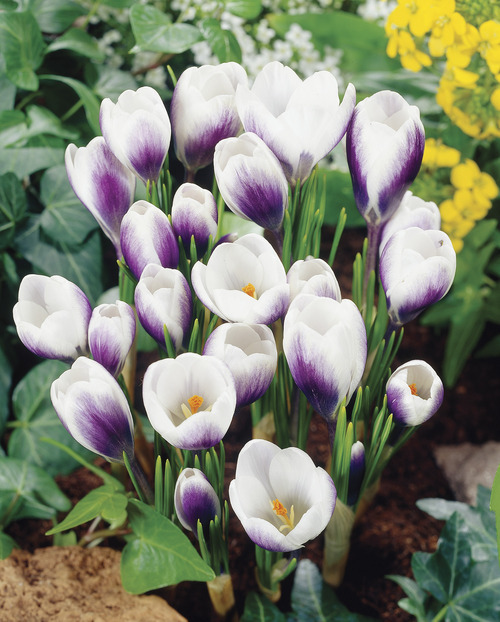 Tulip bulbs and crocus corms need a period of cold before they bloom. Twenty odd years ago when I first forced tulips, daffies and crocuses, we had a small utility room that stayed a consistent 4-7 degrees Celsius all winter, so we had a dozen pots of different ones that performed beautifully. 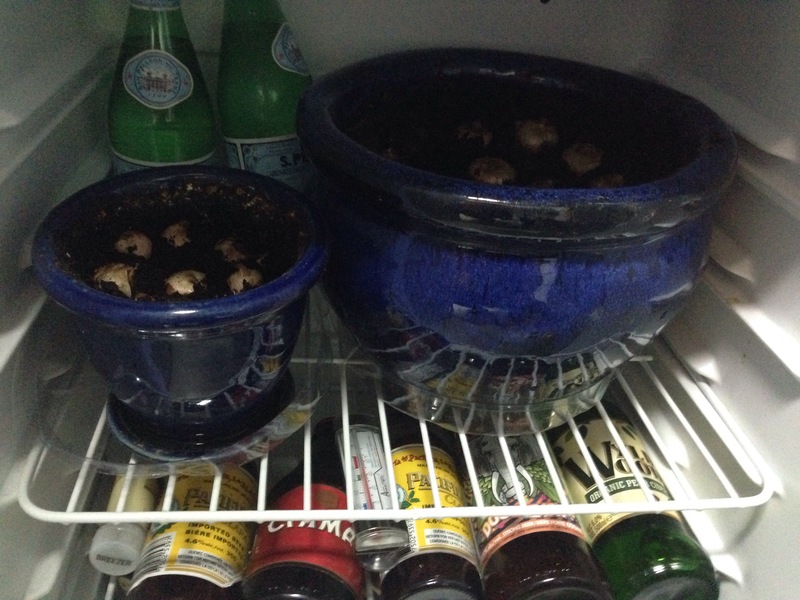 In our current house, we have no such room, so I take over part of my husband’s beer fridge (he is tolerant of my follies) and put a couple small pots in there for the required 10-12 weeks. During this time, the roots will form. I water them only minimally. When the shoots emerge about 5 cm, I bring them out into a low light room and begin to water to keep the soil evenly moist. In a week or so, I move them into a brighter room and watch them grow! 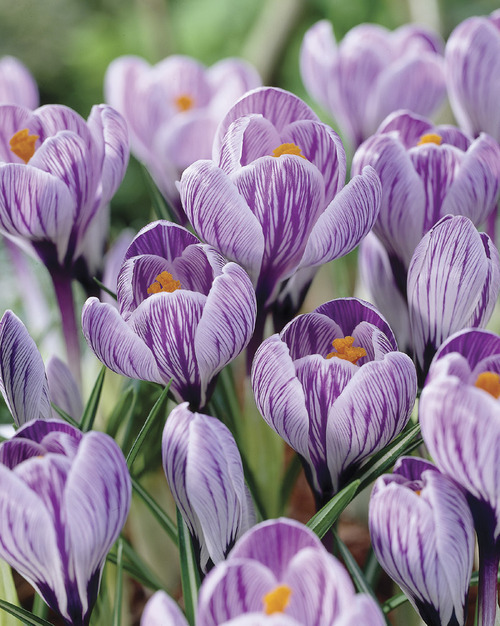 Clicking on the name of the crocus will take you to the Vessey’s seed webpage where you can learn more about these varieties. It is a very satisfying project!